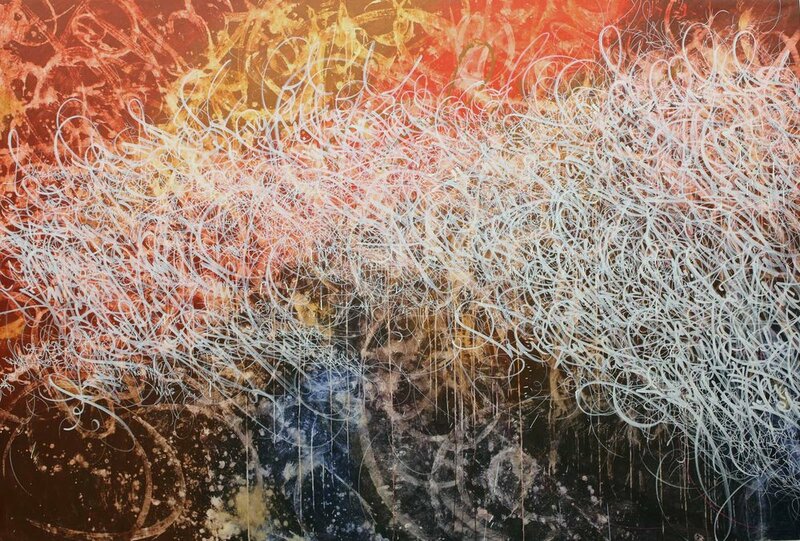 Mad respect to artist — José Parlá. For me, his calligraphy style is hypnotizing and magnetic. My handwriting style is not developed to the scale of Parlá’s. His work influences me to explore the potential to where my own art/handwriting/calligraphy can be taken. His works have so much depth from a media perspective, as well as emotionally. There is no restraint when he creates, yet it is evident that each mark and stroke is intentional and meaningful.